How to build a house in Lagos Nigeria is very much similar to how to build a house anywhere in Nigeria or anywhere in the world. Obviously, there will be slight differences in building procedures and laws from state to state and country to country. But the fundamentals stay the same. So, how do you build a house in Lagos Nigeria? It's pretty straightforward. Just follow the steps below. The first thing to do when contemplating building a house is to develop the house plans using the services of a qualified architect. When you have a concrete drawn-up plan showing the type, size, and nature of the building you want, it is then easy to make other related decisions. The second step in this how to build a house guide is . . . cost estimation or cost evaluation. When you estimate and analyze the cost of building a house as per the house plan you developed, you may discover that . . .
you have enough funds to complete the project or the cost is far above your financial capabilityIf the building costs prove to be beyond your capability, then you need to revise your building plan.The third step in how to build a house in Nigeria is to secure or buy the land required for the building project. Thereafter, you secure building plan approval from the town planning authority.A note of caution. Please do due diligence when buying land because all your building efforts may turn out to be in vain if you buy land in a location that is under government acquisition or where certain types of buildings are not allowed. In step four you decide what kind of building you want . 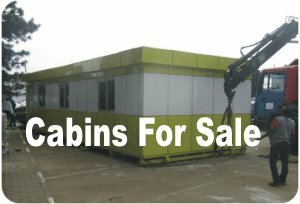 . . prefab buildings or block buildings that you start from scratch. This decision will affect or decide the sequence of steps that follow because block work is a different ball-game from prefabricated buildings (or prefab homes). This effectively covers the preliminaries.
. . . and give the house exquisite finishing with the latest fittings and furnishing (or to your taste, modern or otherwise). Note that if you engage the services of building contractors, you save yourself the hassles associated with being present for the entire building process. This how to build a house guide has condensed the process involved in building your own home. However, I must mention that building your own home all by yourself is tough work. The truth is . . . outsourcing the building project to a qualified and experienced building contractor is the smart thing to do. It saves you a lot of trouble and may actually result in you having a building that is both structurally sound and beautifully finished. Nevertheless, if you cannot afford the charges of a building engineer, you should at least employ the services of a site supervisor to keep track of the pace of work, material usage rate, and quality of work being done. You're spending a lot of hard-earned money on this building project. Paying a little extra to ensure you get value for your money is not asking too much. P.S: If you are a lover of dogs, take some time to build a dog house so your dog doesn't become a threat to innocent visitors during the day.